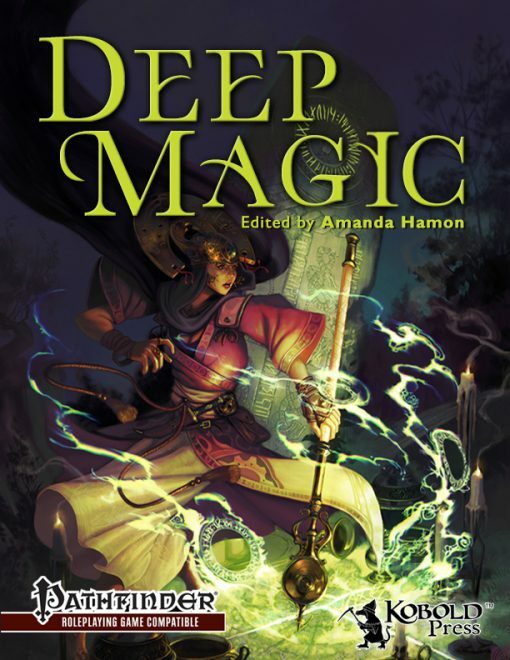 Out of stock: "Deep Magic Hardcover (PFRPG)" doesn't have sufficient quantity in stock. 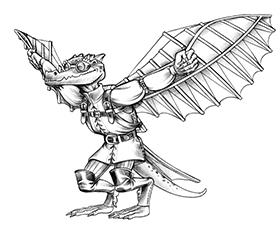 Deep Magic is here at last—a 376-page, full-color tome bound in the hide of an unknown planar being who materialized at Kobold World Headquarters, gave a piteous squawk, and died on the carpet. 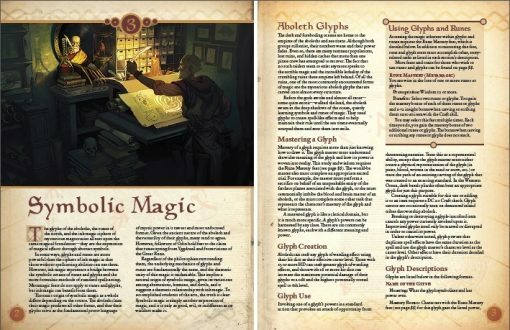 It contains some of the strangest, most wondrous, and most powerful arcane and divine magic ever devised, ready for use in any Pathfinder Roleplaying Game campaign. Deep Magic offers an astounding variety of new magic options by Jason Bulmahn, Wolfgang Baur, Ed Greenwood, Owen K.C. Stephens, Jim Groves, Amber E. Scott, Stephen Radney-MacFarland, and many others! 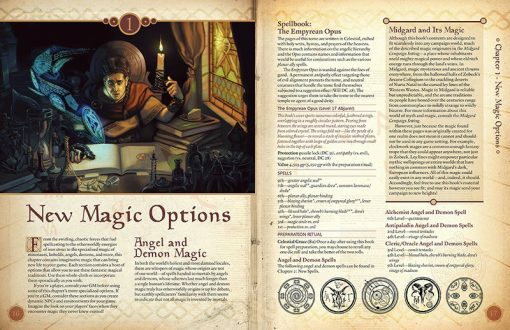 With these new spells and options, your characters (or your villains) can become masters of blood magic, clockwork magic, dragon magic, or shadow magic. Seek out hidden colleges and academies of lost lore. Learn new runes, glyphs, and incantations to crack open the walls of reality,or just bend them a bit. Deep Magic is an essential volume for any spellcasters library. Use it wisely and well! …wait. I can’t really convey the illusion of spontaneity here. Why? Because I have written and deleted this review 3 times as I’m writing these lines. This is quite literally one of the hardest reviews I have ever written, mainly because conveying my stance on Deep Magic is pretty ambiguous and prone to misinterpretation. But let’s start at the beginning. This book is beautiful. Thanks to one particularly helpful gentleman, I managed to pledge by proxy over him (didn’t have the bucks when the KS ran…) and when this book’s physical copy arrived in the mail, I was utterly blown away. Not only did I receive a massive, gorgeous stitch-bound hardcover, it was in gorgeous full color and sported some of the very best pieces of artwork I’ve EVER SEEN. The matte paper helps create an illusion of an “old” tome and the superb, copious artworks render this book so beautiful, it even mops the floor with quite a few Paizo-books. Yes, that gorgeous. The layout, with its parchment-look, its subdued, unobtrusive glyphs further enhances this. Deep Magic is one of the most mind-staggeringly gorgeous books I’ve ever had the pleasure to read and both artists and layout-artists have been up to their A+++-game. Kudos! The first we see would be the respective magical traditions. 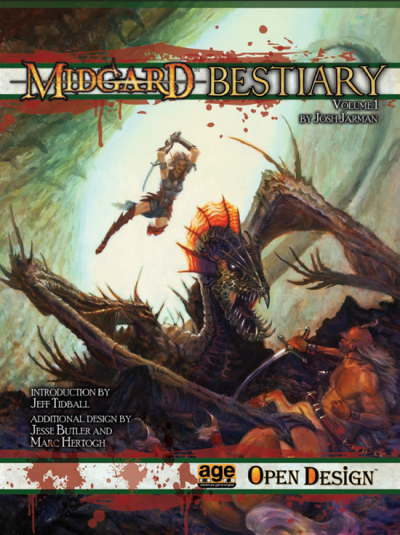 Old time fans of Kobold Quarterly and Kobold Press will see quite an array of old favorites herein again – from blood magic to fool’s summonings, quite a bunch of conceptual goldies can be found herein. At their very best, these new traditions are ridiculously inspired – new ioun stones and ley lines would be two such examples. The latter, for examples, can be tapped by casters with concise rules to tap into their powers – while very powerful, these ley-lines can not only make for interesting tools that can turn the tide of battle and e.g. prevent a TPK or provide unique, cool ways to execute narratives. The transient nature of ley lines and the option to burn them out/change their course places control firmly within the hands of the DM, preventing abuse. That being said, as a DM, I have to decidedly advise against making the numerous ley line feats available for PCs – their balancing is odd/non-existent, with no-save, no-SR 1-round blinding effects and the like not necessarily constituting good resources to place in player hands. 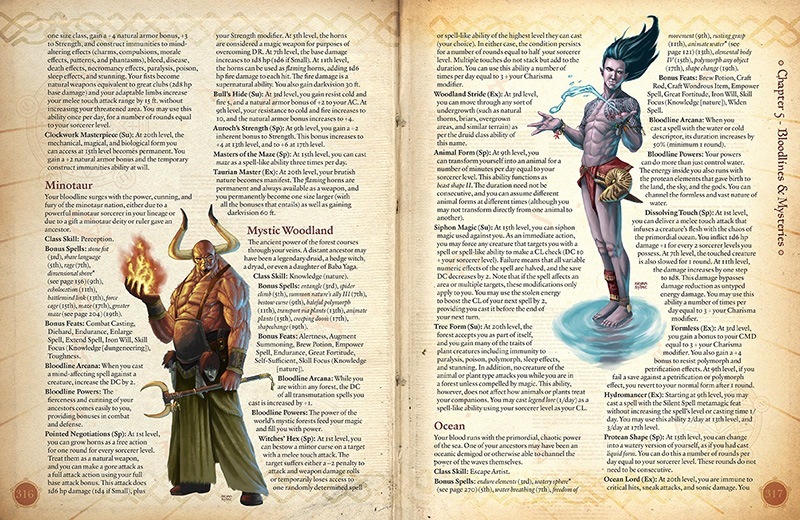 The fool’s summoning tricks go a different way – beyond interesting, more risky, but also more powerful summoning tricks, a copious amount of spells receive flavorful modifications and reskins – which brings me to another point. These traditions sport unique effects, and the same holds true for chaos/wonder magic, with distinct, odd effects and abilities rendering the experience of playing the respective schools pretty interesting. 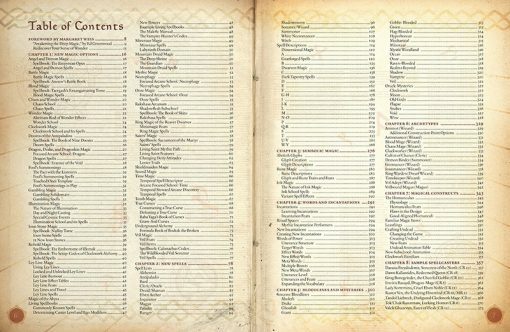 Alas, not all of the traditions herein receive such interesting rules – in fact, quite a few of the traditions adhere to the following presentation: We receive a short fluff-text, spell-lists by caster/level and then, a sample spellbook, including preparation ritual. (And yes, rules for intelligent, living spellbooks can be found herein as well – they are pretty sinister and narrative gold. )Now don’t get me wrong, I *love* the inclusion of these books, but all in all, the respective “schools”/traditions, at least partially, feel too rudimentary – there is not enough to set the spells themselves apart, no guidance to develop additional spells for such a school and some classes receive e.g. one exclusive spell for such a tradition – not much reason to pick a tradition. By providing a tighter focus, the traditions could have been infinitely more compelling, more specific…but…on the other hand, we for example receive a complete, new full-blown mythic path with the living saint. What are living saints? Well, for one, they are chosen of god(s) – what I mean by this is that, like many a mythological leader of religious prowess, these guys experience a highly interesting phase of tribulations, wherein they are severed from their gods and besieged by the whole pantheon – essentially, all gods can tempt the saint towards their ideology and sphere of influence, proposing different spells etc. for obeisance and quests. This can also be used for interesting foreshadowing and over all, the mythic path, intended for divine casters, is pretty much a cool choice with plenty of narrative potential ingrained into the very fabric of the thing, especially due to the numerous spells sporting names of the saints, adding a cool narrative dimension and unobtrusive fluff to these miraculous powers. This mythic path is the first that actually feels like it could have originated in fiction, like it not only provides a rules-escalation, but an actually defining, narrative tool. I adore this path and the resonance of our own world’s myths, with obvious references to Christian (sans the ideology, mind you – you can’t be offended by this guy) narrative structures that are very ingrained into how we perceive certain myths, this path is a thing of beauty. 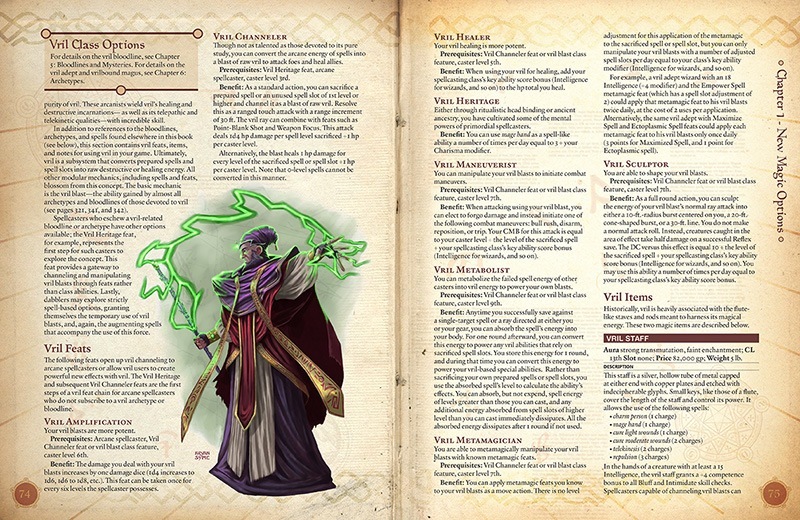 Vril, the unique pseudo-atlantean power-source introduced in Sunken Empires (inspired by Bulwer-Lytton’s writing) also receives new specialists, both archetype, feat and spell-wise. Converting spells into vril-blasts, for example, is pretty interesting. That being said, careful looks into this system also shows us a couple of somewhat odd choices – the archetypes, for example, are separated and relegated to their own chapter – so instead of looking up e.g. vril magic, you have to know where what can be found. Yes, organization is neatly organized by crunch-type, but in a book this focused on awesome concepts, I think another solution would have been appropriate. Also odd – Ink Magic, in depiction pretty much a tradition, can be found in the chapter on rune-magic. Strange. This book collects all of these traditions and breaks their spells into a massive, huge chapter, dissolving the lines between them and implying by its very organization a general availability not implied in singular presentations – essentially, we have a disjunction of fluff from crunch to a certain extent. 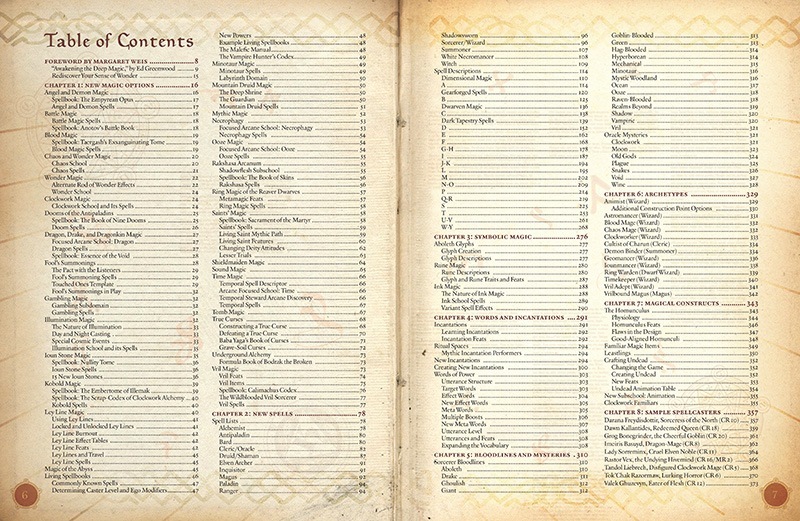 Now this means that you have to search the spells in the lists if you want to make a specialist, but have an easier time when just browsing through the book, looking for spells generally available – hence, the implication is that these spells are available freely, akin to how spell presentation works in Paizo’s big books. 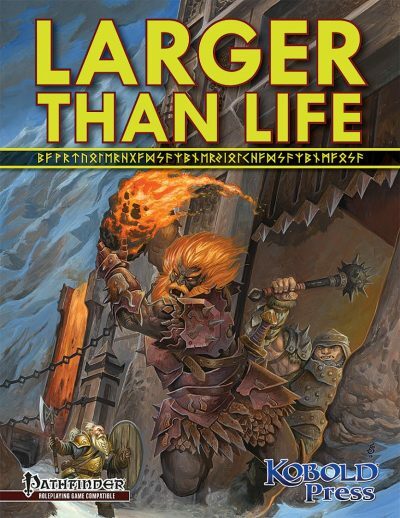 Now don’t get me wrong, one could argue that THIS is exactly what this book tries to do, analogue to the big Paizo-books, where you essentially slap down the book and have a general extension of the arsenal. My contention, ultimately, is that this is balance-wise one of the decisions that shoot the book in its metaphorical foot. So, Deep Magic does sport, a HUGE chapter of spells, both new and old – all collated and organized by handy spell-levels. This chapter is where my first and second review-attempts broke apart. The first one due to my so far pretty jubilant review receiving a harsh dose of reality, the second because I realized that step-by-step analysis makes no sense, bloating the review. If that was not ample clue – not all is well here. It is only understandable that a vast array of authors will have diverging voices and different mastery of the system and yes, this does show herein. Now before you get the pitchforks, let me state one thing explicitly and clearly – the *concepts* of these spells are WONDROUS. Gorgeous. Superb. They are iconic. They *feel* like magic, not like some energy-colored damage-dealing vehicles. They manage to capture the elusive spirit of what magic ought to be and bring the “magic” back into a game often lost and sorely missed. I’d take the concepts of this book over those in Ultimate Magic and Combat combined any day. For there is no way around the following statement, no way to sugar-coat it without outright lying. There are a lot of cool, functional spells herein. However, there also is a vast array of spells that would have desperately required the hands of an editor who truly knows rules-language and/or a capable developer. Name the issue and you have a very good chance of finding a representative of the issue herein, quite possibly in a spell that you absolutely love concept-wise. This chapter almost broke my heart. Any closer analysis shows ample problems, often to the point of rendering a spell highly ambiguous, unbalanced or downright inoperable – there are examples of authors obviously mixing up flat-footed and touch attack AC. Mechanics more closely related to 3.X-design. Spells that do not allow for saves which should. SR that is ignored when comparable spells allow for it. Contradictions between spell-block and its text. Faulty AoEs/ranges/targets. False spell-block formatting. Wrong save. Damage-escalation. You name it. Damage + no-save stagger at a level where it’s ridiculous. Non-sense descriptor-placement. Balance is not even crying in the corner anymore, it is utterly GONE, evaporated into some nebulous dimension. Some author(s) seem to not get the distinction between material components, foci and divine foci. Unspecified bleed damage à la inflict ” receives bleed 3″ – bleed 3 WHAT? Hp? Attribute? What about a spell generating an AoE geyser-like effect that gets just about everything wrong you can possibly get wrong regarding AoEs? Racial spells that could have simply used focus as a limiting component instead of wonky wording-crutches that try (badly) to cut out other races? Sentences that peter off. Wording so convoluted I can’t tell you how exactly a spell works. You name the glitch, it’s here – and right next to it, you may see one of the coolest spells ever. This massive chapter was one of the most heart-rending experiences of my reviewer-career. My first skip through it saw me exhilarated. Closer scrutiny brought disappointment, actual in-depth analysis…well, there’s no way around it…pain. Now beyond the glitches, the balance-concerns herein may partially stem from bad design-choices and lack of rules-language development…but at least partially, they also have their origin in the simple fact that the book took the “soft” restrictions that served as a balancing factor before and took them away by smashing all spells into one big chapter. Where before, spells may have been “broken”, but rare, the implication here is that they are freely available, exacerbating what might before have been a reward into power-escalation. Now yes, in face of the vast army of issues that plague this chapter, even a change in presentation in the proposed way would be a drop of water in a vast desert of issues and would do nothing to render the formal issues void…but yeah, that would be one exacerbating factor. And one that extends, alas, to the next chapter. I am a huge fan of runic/glyph magic. Allowing non-casters to learn the powers of rues is one of the most-beloved tropes for me – whether clad in a pseudo-Scandinavian guise or via lovecraftian alignment with aboleths et al. ; The very concepts of the runes are powerful, and intentionally so. But once again, stripping these of their fluff, of their direct place within the world, of the achievements required to learn them, renders them problematic. When you have to mimic the deeds of the gods to learn the rune Uruz and then, finally have it, it becomes okay if you can paint it on your shield for a 1/day +20 bonus to overrun/bull rush – chances are, your DM knew what was coming and planned accordingly. If the fluff context is taken away, a ridiculously powerful rune, accessible for 1 feat, remains – and suddenly, we see the system stumble under the weight of one of its foundations being eroded. I’m not going to analyze the word of power-subchapter, mainly because I consider the base-system introduced in Ultimate Magic just not well-designed. On the plus-side, the awesome incantations pioneered by Zombie Sky Press back in the day receive a significant array of new ones and these tend to be pretty awesome narrative devices. Alas, the sloppy rules-language of the spells also partially (but thankfully, only partially!) extends to the following chapter, detailing bloodlines and mysteries. What about tentacle-attacks that do not specify as what they are treated? Check. Flawed target/reach-nomenclature…check. Sp, Su and Ex, in some cases, seem to have been determined at random, rendering some abilities utterly opaque. You get the idea. Now yes, the problems are much less pronounced than among the spells, but they are still here. As an additional note – the options among these class options do not feel as though they were balanced among themselves, with power-levels ranging from weak to VERY strong. Still, overall, these options feel relatively operable and easily fixed and the concepts provided are often utterly unique and cool. On a footnote, wizards, oddly, have their arcane discoveries/focused schools etc. in the tradition-section in the beginning, ripping the class options associated with the traditions in half. The problems outlined here also extend, alas and much to my chagrin, to the chapter on archetypes. That being said, the archetype’s main flaw remains the focus on the spells/traditions – you can’t build a house on sand and these, as compelling as they often are, sometimes do just that – which is a pity, for here, much like with aforementioned class options, the imaginative potential is rather impressive.. The following chapters, thankfully, at least for me, redeemed the book, at least partially – a concise and utterly awesome chapter on the creation of homunculi/leastlings and simple rules for undead crafting as well as nice clockwork templates for familiars et al. make provide significant fun, engagement and narrative potential. Speaking of which – portrayed in glorious artworks, a significant array of iconic, cool NPCs – those that are here, are great and flavorful, but I can’t help but feel that one per tradition would have been nice to see. Editing and formatting, on a formal level, are good. On a rules-level, they are BAD and ironically, deeply flawed. 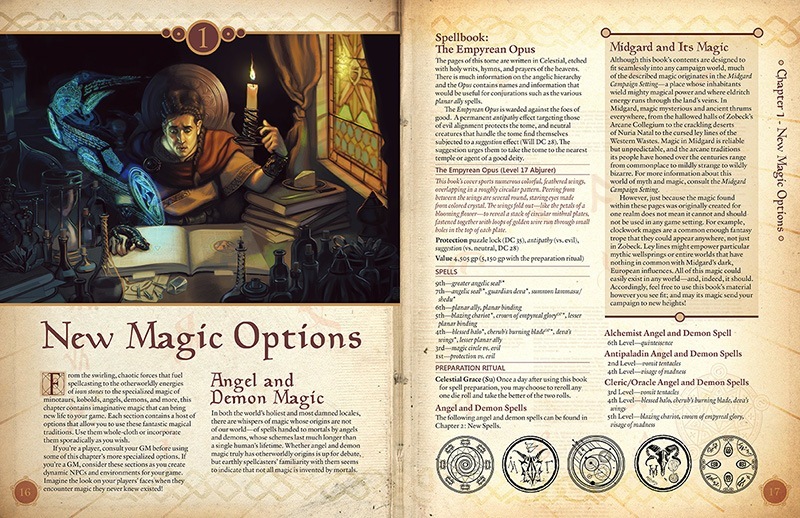 Layout, as mentioned, adheres to a 2-column full-color standard and the artworks range among the most stunning I’ve ever seen in an RPG-book. The pdf comes fully bookmarked with nested bookmarks and the dead-tree copy ranks among the most beautiful books in my shelves. 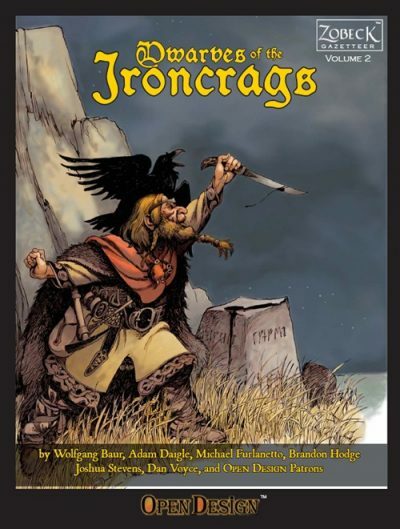 Read this list: Wolfgang Baur, Creighton Broadhurst, Jason Bulmahn, Tim Connors, Adam Daigle, Mike Franke, Ed Greenwood, Frank Gori, Jim Groves, Amanda Hamon Kunz, Brandon Hodge, Stephen Radney-MacFarland, Neil Spicer, Mike Welham, Margaret Weis. With this amount of creative potential assembled, does it surprise you that I consider this book the most inspiring spellbook I’ve ever read? Alas, even these titans can stumble. And they did. This book could have been the ultimate spellcasting-milestone, a legend, a book that defines the very game we play, a whole new dimension of spellcasting. And it is – on a concept-level. Instead, at least on a crunch-level, it is pretty much, as much as I’m loathe to say it, a wreck -not one that has sunk, but one that leaks. The lack of a rules-savvy editor/developer is readily apparent – there are plenty of glitches herein that could have been caught by even a cursory inspection. And no, that’s not just me being overly picky. I put this book before one of my less rules-savvy players, opened it on a random page in the spell-section and had him read spells. Inadvertently, he stumbled over an ambiguity, an issue. Were I to rate this one the crunch alone, I’d smash it to smithereens – the very skeleton of the book is flawed and that radiates outward to almost all chapters, poisoning them as well. Allowing this book flat and without scrutiny at a table is an invitation for rules-discussions and balance-issues – at least if the players are halfway capable at making efficient characters. Why am I not bashing this further? Because, while deeply flawed, Deep Magic is also deeply inspired – the concepts herein are staggering, setting the mind ablaze with possibilities, conjuring forth ideas for adventures, campaigns even. 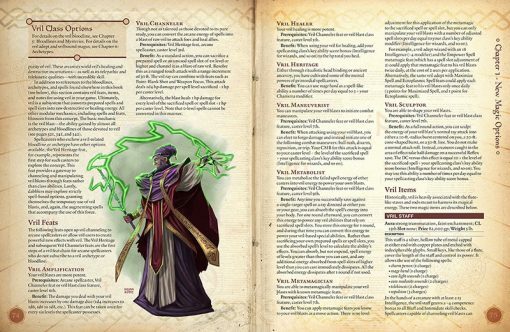 Quite a bunch of the flaws can be ironed out by a capable DM…and flawed though it may be, Deep Magic has A LOT of passion, heart’s blood and soul oozing from its pages. The concepts of this tome, in the end, made it worthwhile, at least for me. I’m not going to lie. My players will never get their hands on this book. But I will take the concepts, take the spells, fix them and reap the benefits of the exceedingly awesome concepts provided herein. 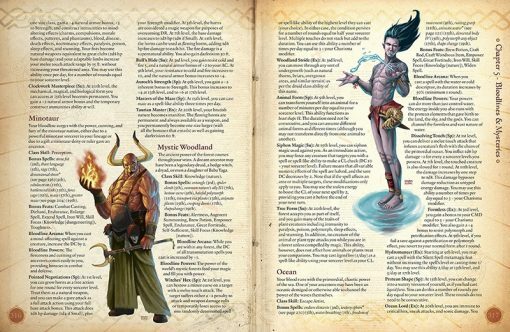 On the one hand, we thus have a terribly flawed book that fails quite spectacularly and depressingly at becoming what it ALMOST achieved – being the best spellbook for any iteration of a d20-based system ever. On the other, the often flawed crunch does provide more great spell-ideas and concepts (as opposed to their execution…) than the APG, ARG, Ultimate Magic and Ultimate Combat combined. Whether this book is for you depends very much on what you expect – if you want solid crunch, a book to just slap on the table and allow…well, then stay the 11 Midgardian hells away from this book. If, on the other hand, you’re willing to work with it, if you’re looking for inspiration and are competent regarding the design/balancing of material, then this is a scavenger’s mithril-mine and a great resource to have – you literally can’t open a single page in this book without stumbling over at least one awesome, iconic concept. The hardcover is also great to show off to non-gamer friends and make them marvel at the glorious artworks, layout and presentation. Without the superb concepts, the lore-steeped ideas, the downright inspired take on magic and its flavor, I would have gone further down on my scale. But, as a reviewer, I also have to take these into account, as well as the people out there who are like me and still can take a lot from this book. Hence, my final verdict will clock in at 3 stars.